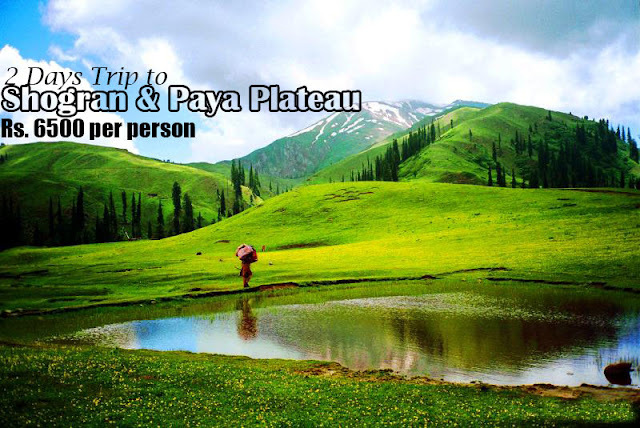 A scenic trip in lower Kaghan valley with a jeep ride to Paya, a picturesque plateau at the foot of Makra Peak, bordering Kaghan with Neelum valley. We drive to Shogran, where evening is free for sidewalks and activities. Next day, we will make an excursion of Sari & Paya and on return, drive back to Islamabad. • Drive back to Islamabad. 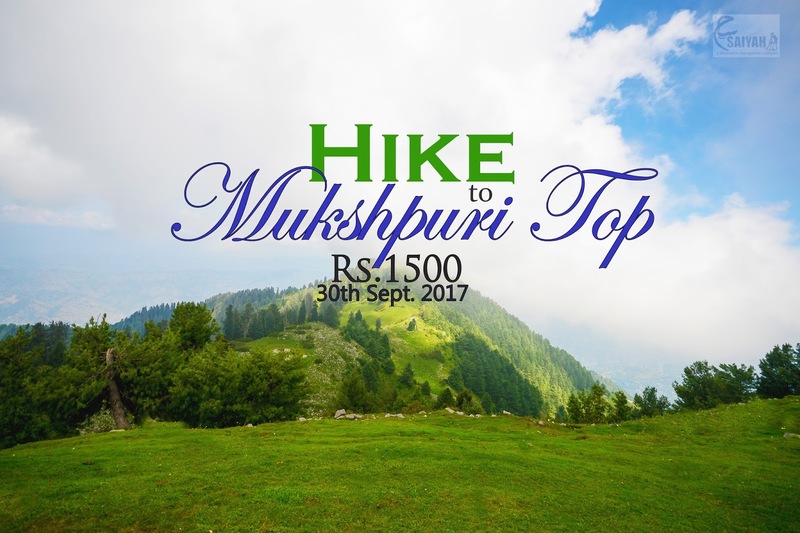 A scenic hike in Himalayas near Murree would be interesting. We have selected a picturesque and easy route with natural beauty all around. 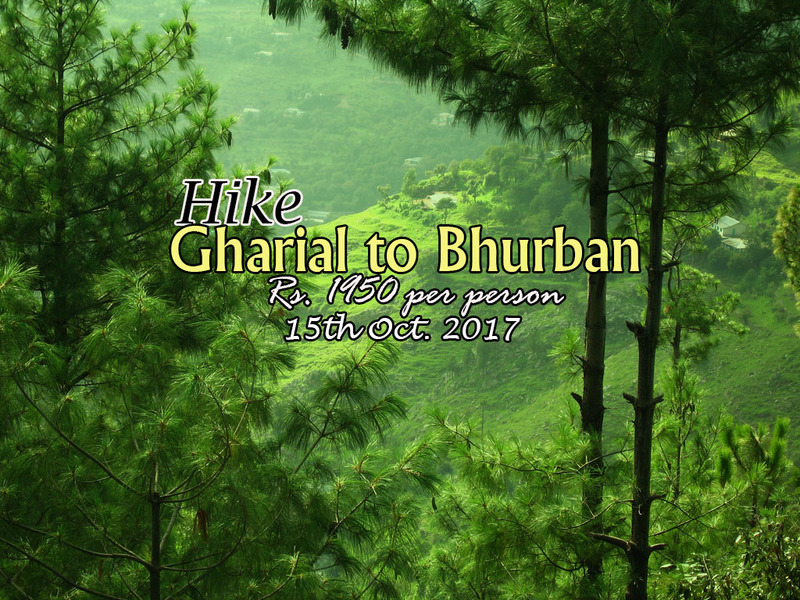 We drive to Gharial and start hiking toward Bhurban. The program includes a lunch in local restaurant. In the evening, we will return to Islamabad. Saiyah riders Peshawar chapter announces 02 nights / 03 days tour to Sharan valley tour includes off roading as well, SD Ahmed will lead the tour. 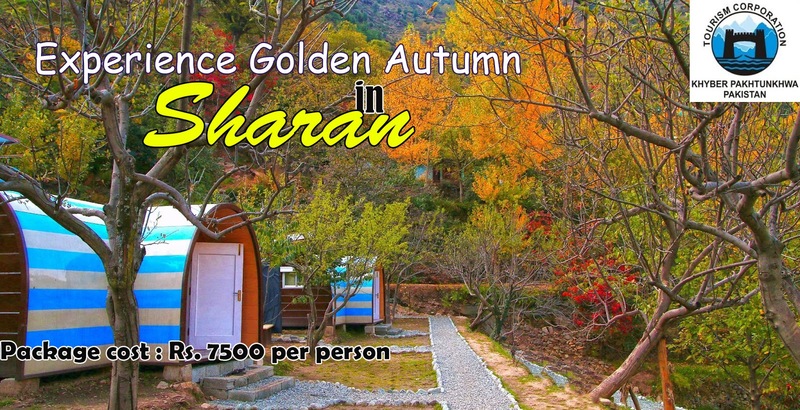 Sharan is one of the loveliest places in Kaghan Valley. Surrounded by thick forest, the place offers quiet and serene atmosphere. An exclusive program is designed for nature lovers to enjoy vacations in Himalayan Mountains. Being located at an altitude of 8000 feet above sea level, the place is cool, while evening and night would be chilly cold. Proper clothing as per weather conditions, along with rain coat / poncho is recommended. A back pack, good quality hiking boots and walking stick would be mandatory in personal kit. The program includes comfortable stay in nicely furnished camping pods, private transport, jeep ride and specially designed activities. A jungle walk to rolling grassland of Manshi is memorable while at camp we offer multiple activities like Archery & Airgun target shooting and some field and board games etc. A bonfire with BBQ dinner, besides an exotic menu would serve a variety of local and Chinese cuisine. Don’t miss the wonderful opportunity to spend 02 nights in nature. We will ride to Balakot via Abbottabad and Mansehra. At Balakot, we will make a lunch stop at Balakot and later on drive to Paras. 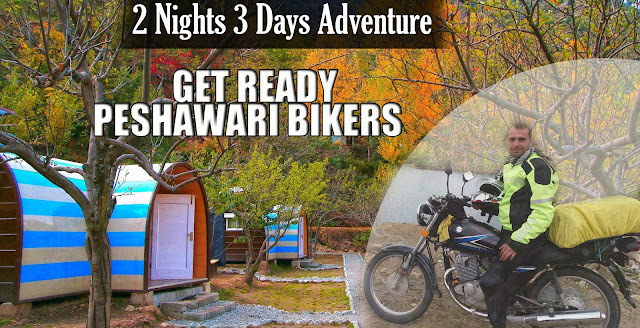 From Paras, we will start off roading and after a ride of 45 to 60 minutes, we reach at Sharan and transfer to our camping pods for night stay. After breakfast at camp, we will make a hiking trip to Manshi Top with packed lunch. Evening is free for activities to be followed by bonfire with BBQ dinner. After breakfast at camp, an activities based Scavenger Hunt would be offered. After an early lunch, we will depart for return journey for Paras, Balakot and Islamabad. On arrival, drop at Saiyah – I / 8 Markaz. x Extra expenses due to landslides\road blocks\acts of nature\political reasons etc. Don’t miss the wonderful opportunity to join us, either on our comfortable vehicle or using your own motorbikes…………..
Meeting at Saiyah office in I-8 Markaz and departure from Islamabad after breakfast. We will drive to Balakot via Abbottabad and Mansehra. At Balakot, we will make a lunch stop at Balakot and later on drive to Paras. From Paras, we will switch to jeeps and after a ride of 45 to 60 minutes, we reach at Sharan and transfer to our camping pods for night stay.